If this is the case, your calendar has become disconnected. This can happen for a variety of reasons, and its normal to experience this periodically. 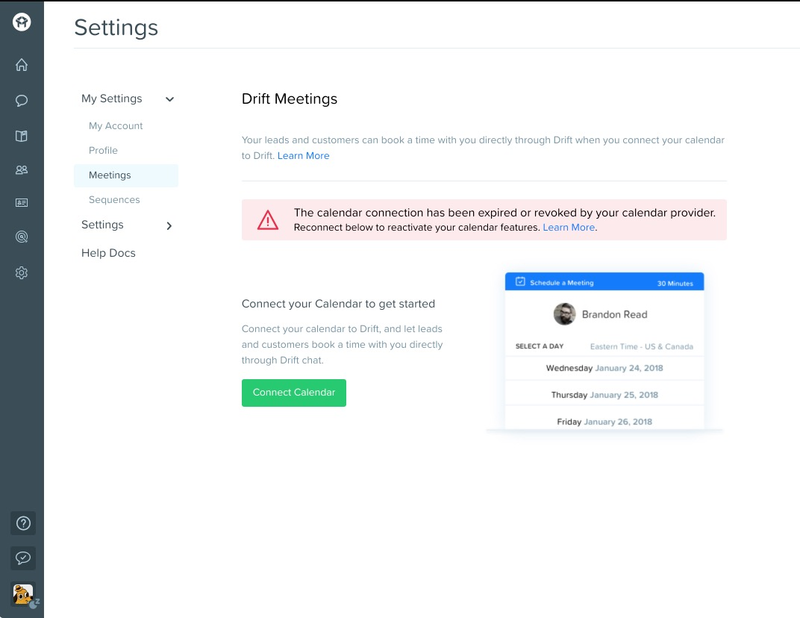 To fix, visit your Drift Meeting Settings and reconnect your calendar. If there is still a problem, or if you have any questions, start a chat with us and we'll help you out! Need help reconnecting? Click here for Google Calendars or here for Office 365 Calendars!